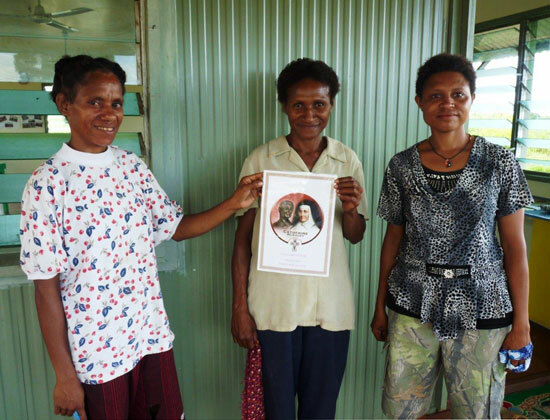 A number of 'short stories' were received in response to the invitation in Mercy E-news to help identify all the places in the world named for Catherine McAuley. We share those stories and images here. 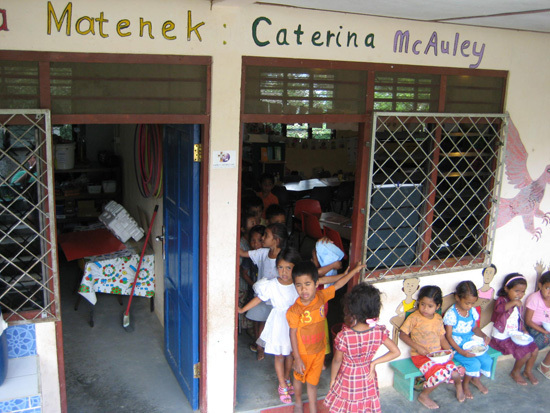 Our first Early Childhood Learning Centre in Timor Leste is named Uma Buka Matenek Caterina McAuley Catherine McAuley's House of Learning. 'Matenek' can be translated as 'learning',' wisdom'. The teachers are all Timorese and the children are aged between 3 and 5 yrs. This centre has trained teachers for 3 other centres in the Parish of Fohorem, Cova Lima, in the far west of the country on the West Timor border- with Indonesia. Ongoing support for UBM Caterina McAuley is received from Mercy Works. It is a very isolated area. The children are well prepared for when they go to primary school- all being able to read and write in the first year of formal education, unlike the situation for those who have not been able to access preschool education. 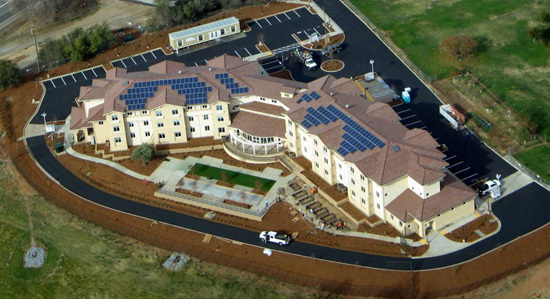 This new 60 unit apartment property for seniors is built on a three acre parcel of land and is part of an overall thirty acres, purchased by the Sisters of Mercy, Sacramento, in 1938 as the site of their new Motherhouse. Besides being home to the Sisters, it also houses Mercy Center, an ecumenical retreat center; a small orchard; a garden; a labyrinth; walking trails and many acres of meadow lands. The name was inspired by the founder of the Sisters of Mercy, Catherine McAuley. Her first ministry in Dublin, Ireland, in 1827, was to provide safe housing for young women who were employed as domestic help in the homes of wealthy families in the city. Since the apartments are built in the meadow, and look out on meadows to the south and east, the name is an appropriate description conveying the combination of mission and location: McAuley Meadows. 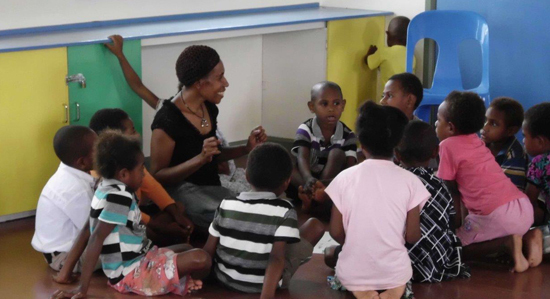 The Centre is small - 35+ children aged between 4 years and 6 years. It is a play school. The teachers endeavour to engage the children in creative activities that develop their fine and gross motor skills, builds their self-confidence and social skills and in general prepares them for elementary school at 7 years of age. Before going home the children are given a small snack. We have procured some funds through the Mercy Works Kiunga Program in order to provide a more nutritious snack. This will come into being after July 2014. The parent or guardian pay K250 for the year (less than Australia $125) this is used solely for teachers wages. The teachers are doing some fund raising to subsidise their wages, for example making aprons the children can use for painting activities and selling them for K5 (less than Australian $ 2). The parents are taking responsibility to make a playground using local materials. Unfortunately the signage in the photo (pictured above) is small. It says Catherine McAuley Child Care Centre, Kiunga Diocese Daru-Kiunga. The Catherine McAuley Large Motor Development Room is a very special place in St. Angela School. Used primarily by our 100 or so Pre-School and Kindergarten children, the room provides them with the opportunity to develop their large motor and coordination skills in a very child-friendly way. The room is cheerfully decorated and filled with just enough equipment to invite play while also challenging children’s imagination. Under the guidance of the faculty, our little scholars also learn to use their imagination and creativity, play cooperatively, become skilled at following directions and accepting guidance from adults - all while having fun!